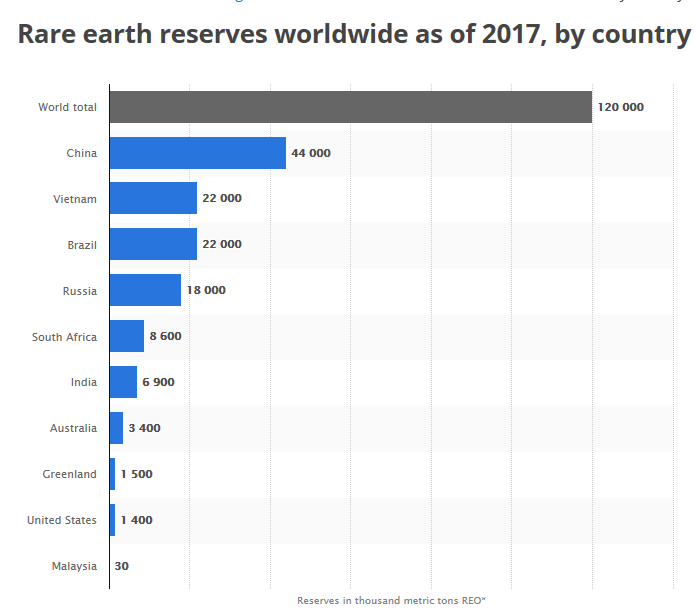 Who Will Control the Market for Rare Earth Minerals? Whenever you have a shortage of raw materials in the world, it historically has led to war. A few generations ago, Japan attacked Pearl Harbor within months of a U.S. oil embargo. In 2010, China embargoed exports of rare earth elements to the United States. For those of us who don’t remember much of the physical sciences from school, rare earths are a class of 17 elements used in everything from mobile phones, to hybrid car batteries, to flat-screen TVs, to guided missile systems, to wind turbines. So why do we care? Right now, China controls 86% of the world supply, depending on the source you choose to cite at your next political gathering. It doesn’t take a Ph.D. in geology to determine that the holders of these rare earths will be a leg up on advancing technology as we go forward. 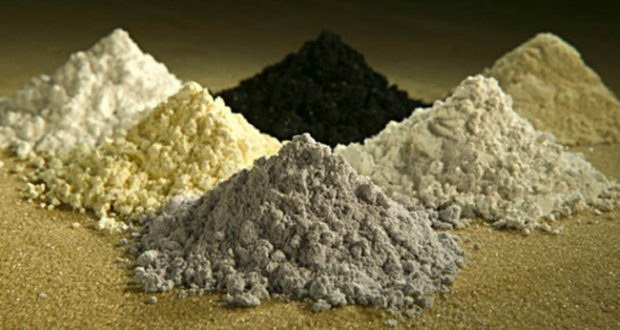 Currently, the United States maintains 11% of the rare earths. Australia, Malaysia, and India have increased production since the 2010 incident. With the exception of Russia, Brazil, and South Africa, there are no other major players on earth. History dictates that alliances will form in areas of strategic importance. One must remember that while China and Russia share a similar ideology on the world and their inherent disgust at the west, they could presumably partner at some point in the future to keep rare earths out of the hands of the U.S. Does the average American lose sleep at night over a communist alliance of rare earth minerals? One thinks not. You can look back to circa 1960’s to see that the technology of the time really had little if anything to do with rare earths. So the next question that needs to be asked of technology is what type of material or substance will power it. This question is plausible only so much as world governments will let the people know. Change in technology is growing at an exponential pace. The doubling of computer processing speed every 18 months, known as Moore’s Law, is just one manifestation of the greater trend that all technological change occurs at an exponential rate. With that said, if rare earths are still dominant in producing defense weaponry in the near term, it would be best to form alliances with those that share our democratic philosophy, like Australia and Brazil. This would especially be the case if China and Russia were to form a cartel-like entity surrounding rare earths. Also, with the recent finding of centuries of rare earths by Japan in its nearby seas, research and development spending in this area appears profitable. There are several prominent miners underwater at this time, as the price in recent years of these minerals has dropped. Basic supply and demand. It would appear that such development by the U.S., Australia, Japan and others will lead to more companies scrambling to get a foothold in this market, thus affecting supply and demand and rare earth mineral prices. I would wager that doctors prescribing Ambien to patients to help them sleep at night as a result of worrying about rare earths will be minimal. China’s Piglet Stamp – Permission for a Population Explosion? I’m Collecting Social Security Early and Getting My First Payment This Week!